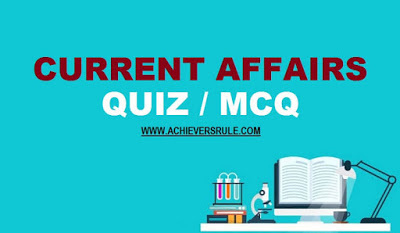 You must solve the Daily Current Affairs MCQ - 11th December 2017 and get ready to face the upcoming IBPS, SSC exams easily. The Current Affairs Set consists of the questions of latest pattern, answers along with explanations that covers all the latest news updates i.e. sports, awards etc. Q1. On which day, the Universal Declaration of Human Rights were adopted ? Q2.Which Automobile Company of India has topped in terms of the market capitalization ? Q3.What is the theme of ASEAN India Connectivity Summit ? Q4.Who has launched the public procurement portal ‘MSME Sambandh’ ? Q5.For which novel writer Mamta Kalia would be honoured with literary award Vyas Samman 2017 ? Q6.The International Council for Monuments and Sites 2017 would be held in which city ? Q7.Tushar Mane and Mehuli Ghosh have secured their place in 2018 Olympic Games ? Q8.Central Government has decided to set up a LPG plant in which state of India ? Q9.The 2nd Naval Museum of India would be built in which state ? Q10.Who is appointed as the Executive Director of RBI? ? Q11.Who has discovered Excitonium ? Explanation 1. The Universal Declaration of Human Rights (UDHR) is a historic document that was adopted by the United Nations General Assembly at its third session on 10 December 1948 as Resolution 217 at the Palais de Chaillot in Paris, France. Explanation 2. India's largest carmaker Maruti Suzuki became India's sixth most valued firm, crossing India's largest lender SBI. Maruti Suzuki's market capitalisation stood at 2.74 trillion, marginally ahead of SBI's market value of 2.71 trillion. Reliance Industries is the country's most valued company with a market value of 5.8 trillion, followed by TCS, HDFC Bank, ITC and Hindustan Unilever. Explanation 3. India to host 2-day Connectivity Summit with ASEAN countries aimed at enhancing economic and trade relations between India and Southeast Asian nations. Theme: 'Powering Digital and Physical Linkages for Asia in the 21st Century'. Explanation 5. Eminent Hindi writer Mamta Kalia will be honoured with literary award Vyas Samman for year 2017 for her novel "Dukkham Sukkham" by the K K Birla Foundation. Explanation 6. The International Council for Monuments and Sites or ICOMOS, the global pioneers and front runners in promoting and enhancing professionalism in conservation, management, planning and development of India's diverse heritage is geared to organise the first ever ICOMOS General Assembly and Scientific Symposium 2017 in Delhi. Theme: "Heritage and Democracy"
Explanation 7. Mehuli Ghosh and Tushar Mane became the first Indian shooters to secure the women's and men's quota places for the 2018 Youth Olympic Games (YOG) by winning a gold and bronze each at the 10th Asian Championship 10M Rifle/Pistol at Wako City, Japan. Explanation 8. A mou was inked between the Ministry of Petroleum and Natural Gas and the state government for setting up a Liquefied Petroleum Gas (LPG) bottling plant in Meghalaya which will help increase the clean fuel's penetration, especially in the rural areas of the state. Explanation 9. The Navy is planning to hand over a decommissioned Tupolev-142 reconnaissance plane to the West Bengal government for setting up an aircraft museum here, the second of its kind in the country. The Navy is expecting a clearance from the defence ministry for handing over the TU-142 aircraft to the state government by the end of this month. Explanation 10. Uma Shankar, chief general manager (CGM) in charge of the Reserve Bank of India's financial inclusion and development department has taken over as executive director (ED) in the central bank. Explanation 11. Bert Halperin has discovered Excitonium.